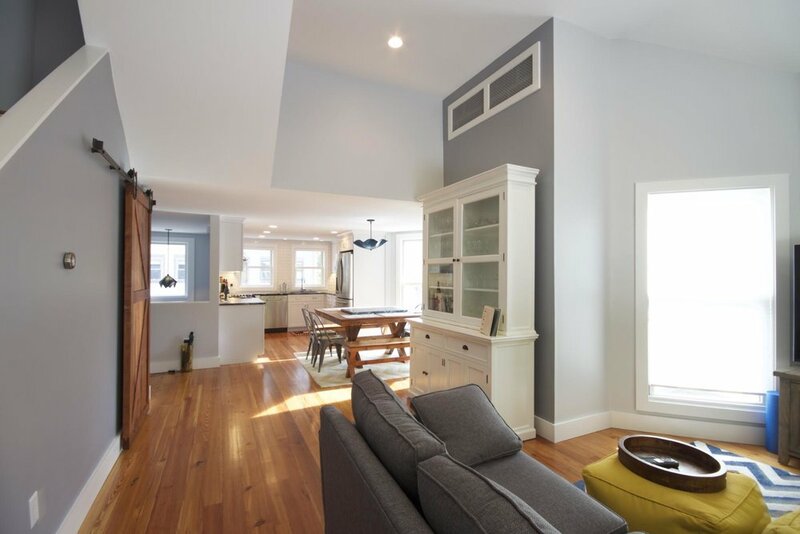 Looking for a home remodel in Lynnfield, MA? The remodelers at Godfrey Design-Build are experts in remodeling kitchens, bathrooms, decks, and entire homes. Godfrey Design-Build’s experienced team of Lynnfield home remodel specialists can help breathe life into your home with a home renovation project. Our team of design-build experts can redesign your Lynnfield home into a space that compliments your family’s lifestyle. Whatever the home of your dreams is, we want you to live that dream every day. You’ll love our expert designers, architects, and construction professional’s strong attention to detail. From initial consultation through completion of the project, our entire team will be focused on executing your vision for your new home. We’ll work hard to make sure the final product is the home you dreamed from the start. Our philosophy is that home remodeling should be an exciting process — efficient, energizing, and enjoyable from beginning-to-end. At Godfrey Design-Build, our inclusive design-build remodeling process leverages a streamlined method designed for your enjoyment. Godfrey Design-Build will manage the entire design and planning process while allowing you to provide feedback throughout. We’ll schedule all architects, designers, carpenters, and other workers, managing timelines to make sure your remodeling project stays on track. We’ll also ensure work quality meets our high standard and budgets stay on track to ensure your new space is delivered on time, on budget, and exactly as you imagined. You’ll love working with your talented team. We can’t wait to bring your dream home in Lynnfield to life! We can’t wait to hear about your Lynnfield remodeling project! Pat Godfrey founded Godfrey Design-Build, LLC with one goal in mind: making home remodeling and construction projects easier for Lynnfield homeowners.